When Spanish conquistador Francisco Pizarro landed in Peru in 1532, he found unimaginable riches. 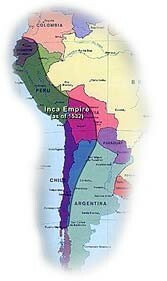 The Inca Empire was in full bloom. What led to the collapse of the wealthy and powerful Inca empire?